Henry: "Ahh... nothing like taking a nap on clean laundry." Henry: "Wake me when you're ready, Momma." Our Daily Challenge - Jun 4 2013 - "Button(s), Zip(s) & Laces"
Daily Dog Challenge"582. 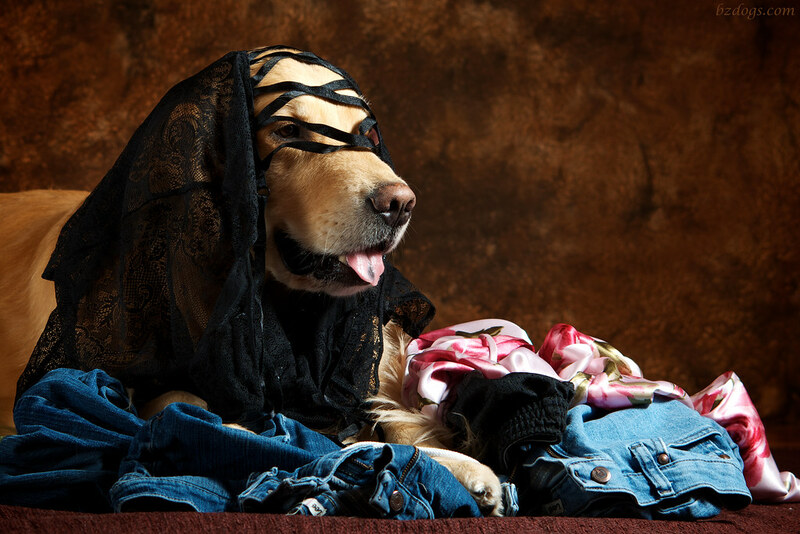 Candid Canine - Take a candid photo of your dog as he or she goes about a normal routine of their day." Zachary: "Are you sure this is in my Modeling Contract, Mom?" Luna loves sleeping in clean laundry too! Or dirty laundry... really any laundry for that matter. Beautiful pictures. Henry and Zachary look so happy! my little boy kitty loves to sleep on the warm laundry fresh from the dryer!..he comes running when he hears the dryer door open, knowing that the warm pile will be on the bed soon! Oh, Henry is zzzzzz is just precious! The candid shot is just great. 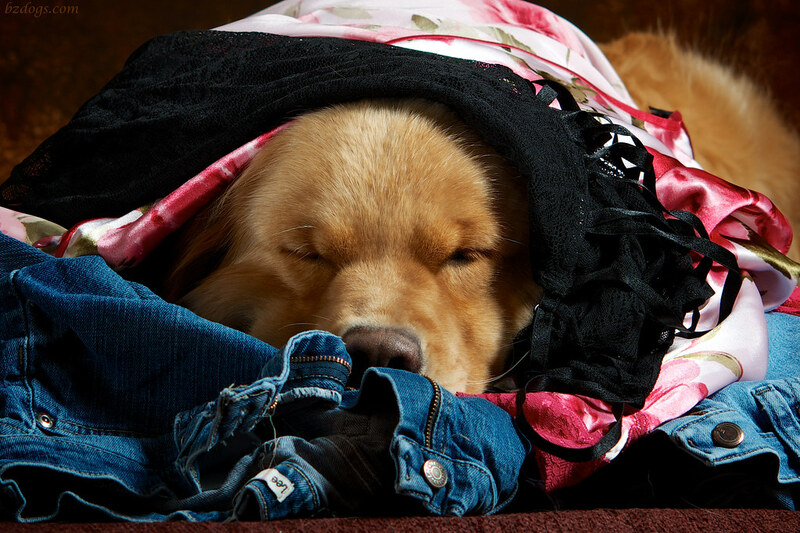 I am a Golden Retriever, and I can tell you that it's all about our personal comfort. 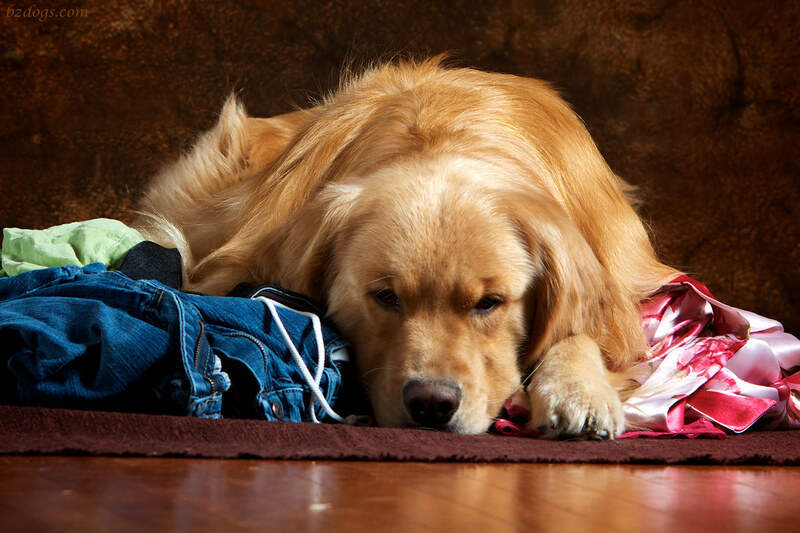 If that means sleeping on your clean laundry, well, that's what we'll do! 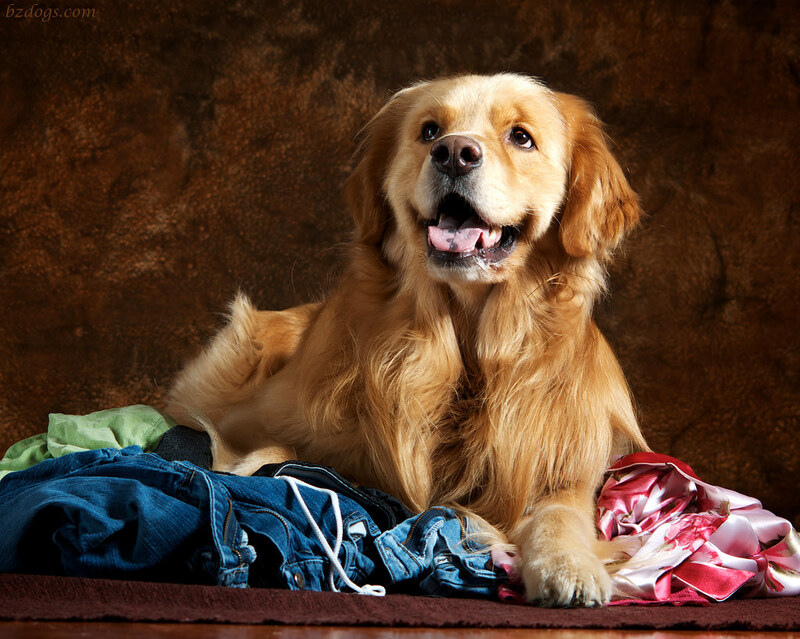 Clean laundry is the best, especially when it's warm out of the dryer! Ha ha ha! Those are classic! I am cracking up! That's some interesting laundry you've got there. Oh yes please Kodee says! Bring on the laundry! I have had an odd number of socks lately. Finally I remembered to check the creaks and crevices in Kodee's bed... ah their are my missing socks!